Hot drinks in the cold winter months are my favorite way to warm up. Hot cocoa and hot tea are my go-to drinks when I come in from a blustery frigid day. 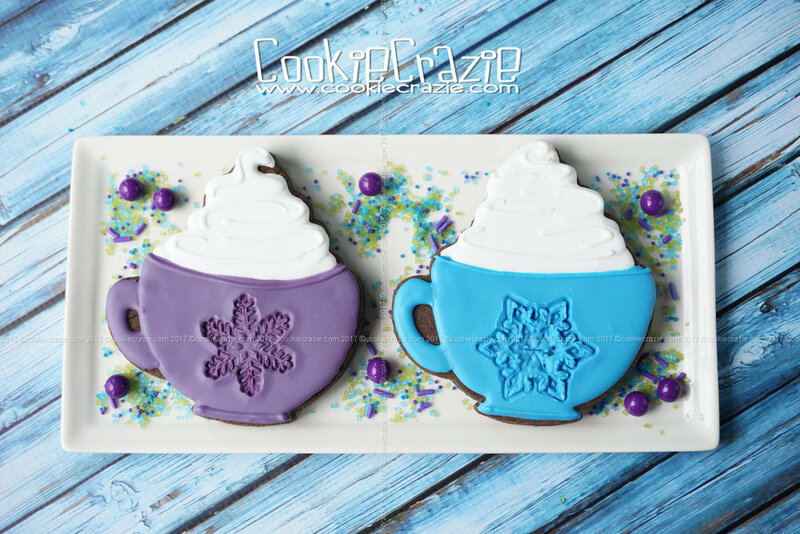 Let's make a hot cocoa mug cookie! Here's a new mug cutter from BobbisCookiesCutters. For this tutorial, refer to both the video and the photos below. Outline and flood the base of the cup in your choice of glaze color. Set a timer for 3-3 1/2 hours so that you can emboss the partially dried glaze later on in the project. Allow the base to dry at least 15 minutes before adding the outline and flood to make the handle. Add a thin horizontal line to the top and bottom of the mug to add some dimension. 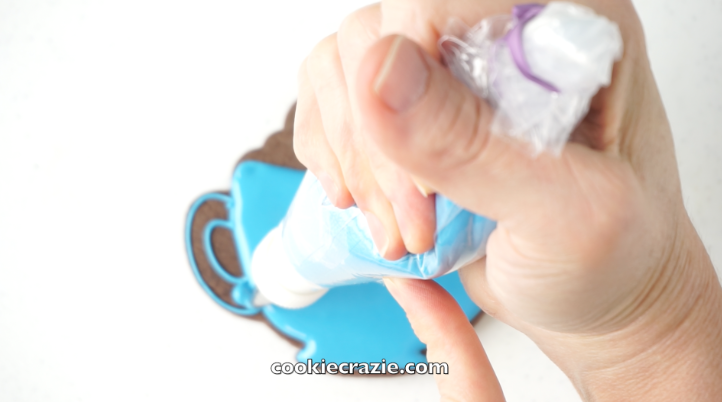 (refer to the video for their placement) Outline and flood the "whipped cream" on the top of the mug with white glaze. Once the layers have dried for at least 30 minutes, add some swirly white accent lines. When the timer that you set [after flooding the base of the mug] goes off, use a plunger/cutter like THIS ONE or THIS ONE or a mini cookie cutter to emboss the front of the mug as shown on the photos/video.